The Battle of Antietam remains the bloodiest one-day battle on American soil. On September 17, 1862, 23,000 soldiers became casualties in the first major Confederate attack on the Union during the Civil War. 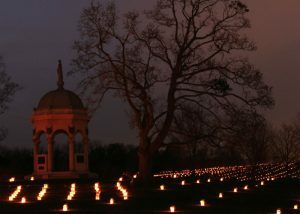 Every year, the National Park Service honors their sacrifice when it illuminates the Battlefield with 23,000 luminaries. Join the Howard County Historical Society for for fabulous food, beer and wine, a casino, dancing, whiskey and champagne tastings, a costume contest, a screentest contest, professional photo sessions, a silent auction, and an historical house tour.